These young people are perched on the ruins of a building at Playas del Este, east of Havana. Cuban blogger Yoani Sánchez and her husband Reinaldo Escobar stroll along Paseo del Prado in Havana. The Treasury Department's Office of Foreign Assets Control today released the latest regulations for anyone handling Cuba travel arrangements, airline tickets, ground transportation, Cuban visas, passports and the transfer of money to Cuba or to Cuban residents. Download the 51-page document, called Circular 2012. Scenes from the tail end of the conga in Santiago de Cuba. The police were at the rear. These folks are trying to get a better view of people in the conga. 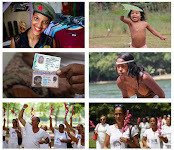 One Cuban told me that the two women on the left have verbena leaves in their hair. The plant purportedly repels guasasas and other annoying insects. 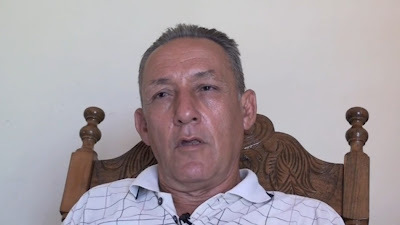 Transcript of interview with Cuban dissident Francisco Chaviano. 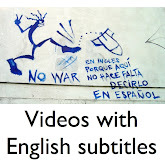 See video: part 1 and part 2. Bueno, Estados Unidos siempre ha sido muy importante para Cuba a través de la historia de nuestro país. Las relaciones de Cuba con Estados Unidos están, incluso, en primer plano durante todos los tiempos, superando incluso a la importancia o el rol que haya jugado España en Cuba. Porque cuando uno mira la historia se da cuenta que, bueno, Estados Unidos es el área natural de comercio con Cuba, y cuando Cuba mantiene relaciones normales con Estados Unidos pues es como una nave que le da el aire y navega a toda vela ¿no? Y cuando esas relaciones por alguna razón a través de la historia -sea en tiempo de la colonia o sea en estos tiempos-, pues ha dejado de existir, pues es como si ese barco perdiera el viento y quedara al pairo en medio del océano; y eso es lo que le ha pasado a Cuba. In 2010, Oswaldo Payá told me that the proximity of the United States ensures that it will remain "part of the Cuban reality." 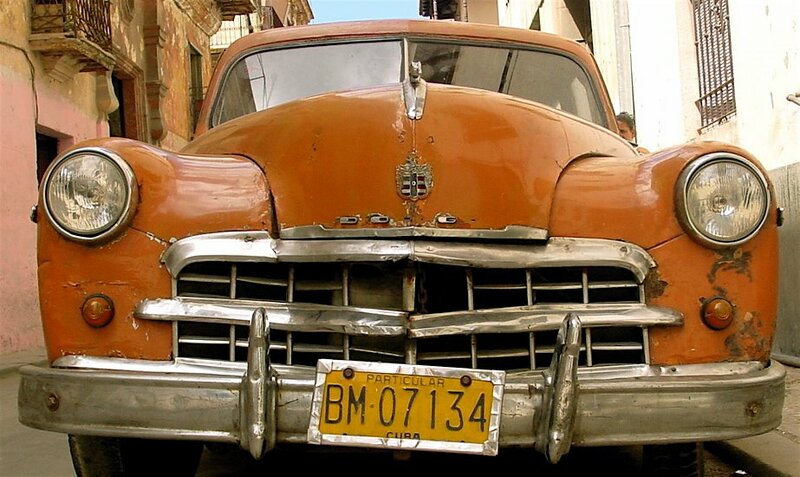 But he said it was not the duty of tourists, the U.S. government or American businesses to bring change to Cuba. 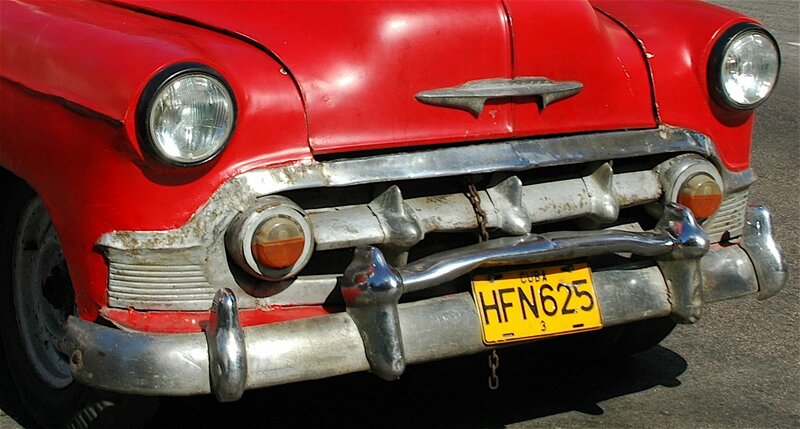 It is not up to the U.S. to bring about changes in Cuba. Nor is it up to the U.S. businessmen who say that by doing business here they will bring change. Nor is it up to U.S. tourists. And I say this to those who say that U.S. tourists will bring changes to Cuba. The Spaniards and Canadians haven't done so. Moreover, that's an insult to the Cuban people. Changes will not be made by tourists drinking daiquiris and mojitos, strolling through our beaches and staying in hotels that Cubans don't stay in. 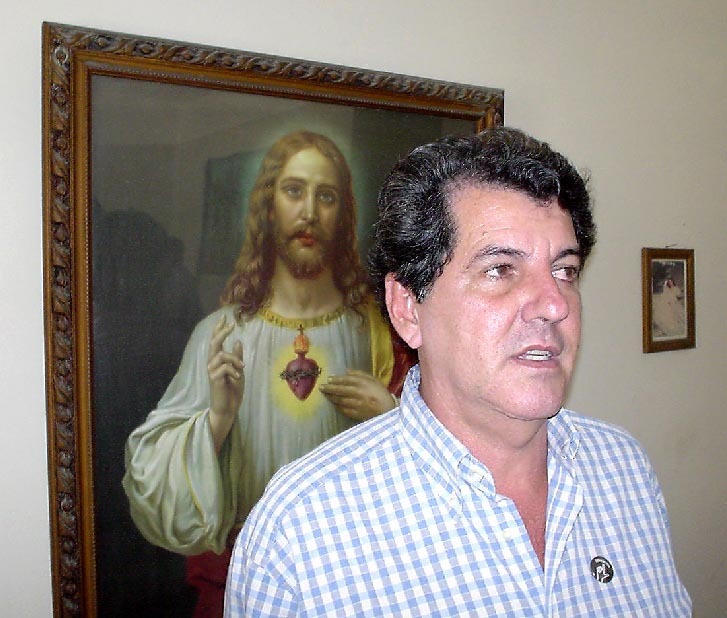 Cuban human rights leader Oswaldo Payá was killed Sunday in a car crash in eastern Cuba. Above, he poses with his wife, Ofelia Acevedo, at their home in July 2010. See my 30-minute interview with Payá here. A shrine to political prisoners in Payá's home. Other versions and sizes of the same photos are below. Memory cards full. Wallet empty. Just back from Cuba early this morning. A vendor pushes a bicycle cart carrying fruit and vegetables in Santiago de Cuba. International Relief & Development reported to the IRS in 2010 that it received 99.99 percent of its funding from the U.S. government. For that reason, some folks might say that the IRD might as well be a federal agency. But it's a non-profit organization that Arthur B. Keys founded in 1998. Keys is the president and CEO of the organization, which is based in Washington, D.C., and does development work in Cuba and dozens of other countries. 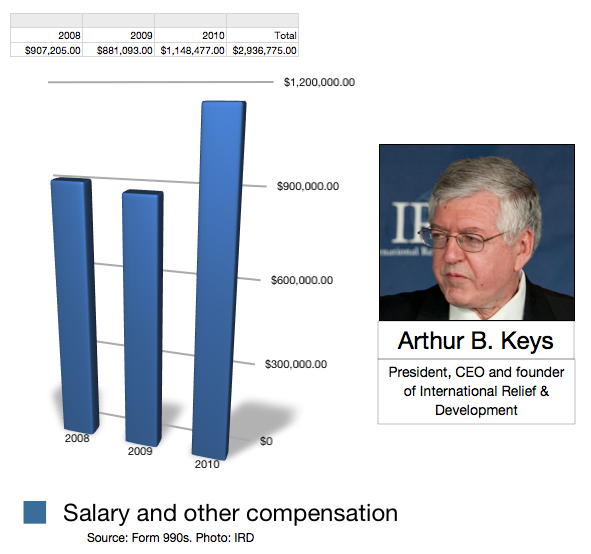 It has been a lucrative position for Keys, who reported earning nearly $3 million in salary and other compensation from IRD from 2008 through 2010. 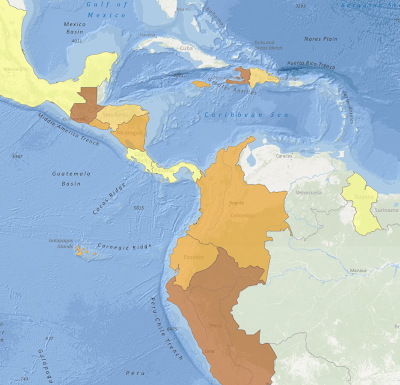 Click here to launch USAID's Loan Guarantee map. Read about USAID's Development Credit Authority here. The U.S. Agency for International Development awards tens of millions of dollars to private contractors and non-profit organizations that carry out democracy-promotion work in Cuba. USAID keeps most details of these programs secret, but public records give some insight into what happens to at least some of the tax dollars. The IRS requires non-profit organizations to file Form 990s, which provides information on the group's mission, programs and finances. 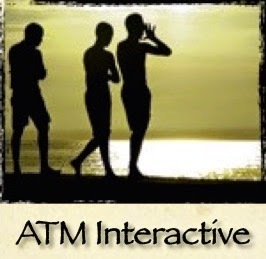 "Grupo de Apoyo: Post Game Boy Analysis"
"Cuba Money Trail: Tale of two Miami non-profits"
"How much aid reaches Cuba?" 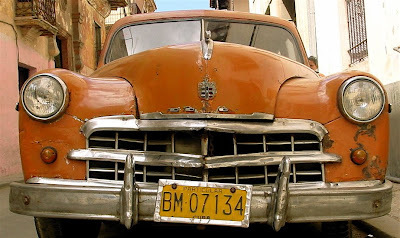 Today I am posting the Form 990s for eight of the nine organizations that USAID lists as its current partners (and for people who have no interest in tax records, here are some photos of old cars). I can't list the ninth organization, Creative Associates International, because it's a private company and does not have to make public its finances. It received $7 million in USAID funds - more than any of the other eight organizations - from August 2008 to June 2012. The eight non-profit organizations are below, along with USAID grants received and the latest Form 990s that I have been able to obtain. Other groups also receive USAID funds, but these eight are the largest, I believe.